Every football fan has faced this age-old question at least once: who is the greatest football player on the planet right now? And for the last ten plus years, this usually has come down to a decision between two fantastic players. Argentinian magician Lionel Messi or Portuguese force of nature, Christiano Ronaldo. Both have been head and shoulders above the rest of their sport while putting up numbers that are simply out of this world, in both domestic and international competitions. But while we all have our individual favourites in sports, every football fan should take a step back, take a deep breath and leave all the affiliations of fandom behind when it comes to this question. At the end of the day, there can only be one answer for the greatest player of this generation. 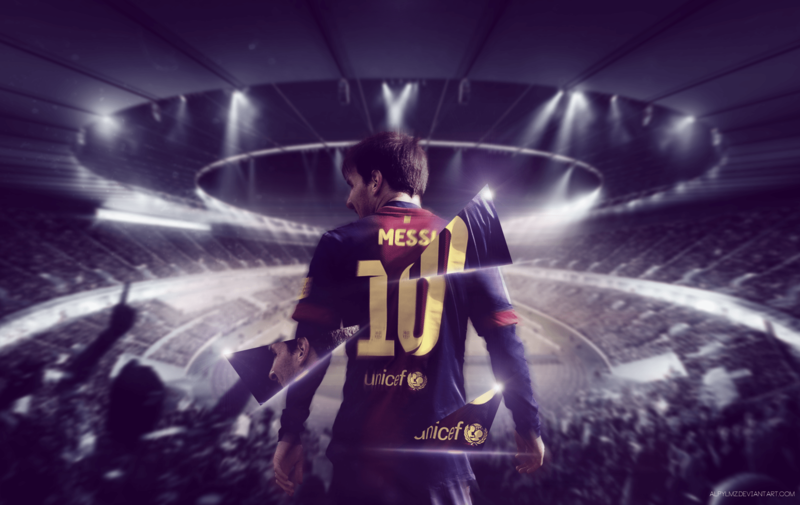 His nickname is “La Pulga” and he wears number ten for both Barcelona and the Argentinian national team. Lionel Messi has revolutionized football in front of our very eyes. He has not only changed the way teams play by being part of Barcelona’s first version of the Tiki-Taka offense, but also has reinvented his own position and style of play several times, since debuting for Barcelona’s first team in November 2003 at the age of 16. Since then he has played 444 games in La Liga, while scoring 412 goals and assisting on another 166. Overall, he has played 674 competitive matches for the Catalan giants in which he scored 591 goals and had 238 assists. Those are numbers one usually only finds in a video game. In the real world they seem almost comically disproportionate. And yes, Christiano Ronaldo has similarly outrageous numbers to his name. His 595 goals and 212 assists in 794 games are equally ridiculous and his record in the Champions League and other high profile matches is probably even a bit more impressive than the Argentinian’s. But Messi’s impact on the game of football goes well beyond numbers of goals scored and assists contributed. He is the ultimate team player, adjusting to the needs of his team over the years and always becoming the missing piece in Barcelona’s puzzle of excellence. When Christiano Ronaldo’s teams are lacking in playmaking, set pieces or tactical awareness, one often sees the Portuguese superstar complain about his teammates on the field. Off the pitch, players that do not compliment his scoring style of play are often sold (e.g. Gonzalo Higuain) or must switch positions in order to still fit into the line-up (e.g. Gareth Bale). When Barcelona needed a second striker next to the likes of Eto’o or Zlatan Ibrahimovic, Messi became their congenial scoring sidekick. When they had left, he became Barcelona’s greatest scoring threat as the world’s first “false nine”. When Luis Suarez came into the team and FCB desperately needed a right winger, he became just that and was soon feeding Suarez assists while scoring plenty for himself. And when the likes of Andres Iniesta and Xavi departed for their final ride into the sunset, Messi once again transformed himself. He became a ghost that shows up everywhere on the field at just the right time; collecting the ball deep in midfield and playing perfectly timed passes into the strikers; showing up on the wing and dazzling defenders with his pace and dribbling finesse; popping up around the box and making keepers look foolish when he once again chips the ball over them with one of his signature lob shots. Some people will always mention Ronaldo’s bigger success with the national team as a factor in the decision for the best player of this generation. And yes, Christiano has won the European Championship with Portugal in 2016 after finishing as the runner-up in the same competition in 2004. During the same time span, Messi has reached one World cup final, three Copa America Finals and has won an Olympic gold medal in 2008. While Argentina’s finals record surely feels disappointing, Ronaldo’s output does not set him apart when taking into consideration that he only played 25 minutes of the 2016 finals, before leaving the pitch with an injury. Overall, both Messi and Ronaldo are generational talents of football. They are the be all and end all in terms of their goal scoring ability, but their long-term legacy should be judged on more than just numbers. Messi has transformed the way this game is played, all the while adjusting his play to the different needs of his team throughout the years. This is what truly sets him apart from every football player on this planet. A footballing alien amongst men.